Education, Inequality and Social Class provides a comprehensive discussion of the empirical evidence for persistent inequality in educational attainment. It explores the most important theoretical perspectives that have been developed to understand class-based inequality and frame further research. 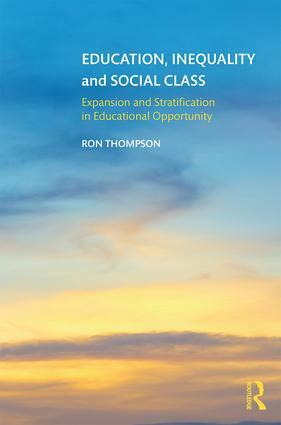 With clear explanations of essential concepts, this book draws on empirical data from the UK and other countries to illustrate the nature and scale of inequalities according to social background, discussing the interactions of class-based inequalities with those according to race and gender. The book relates aspects of inequality to the features of educational systems, showing how policy choices impact on the life chances of children from different class backgrounds. The relationship between education and social mobility is also explored, using the concepts of social closure, positionality and social congestion. The book also provides detailed discussions of the work of Pierre Bourdieu and Basil Bernstein, two important theorists whose contributions have generated thriving research traditions much used in contemporary educational research. Education, Inequality and Social Class will be essential reading for postgraduate and advanced undergraduate students engaged in the study of education, childhood studies and sociology. It will also be of great interest to academics, researchers and teachers in training.